In 2011, Valarie had started on her plans for building her dream home. Then she was diagnosed with stage IV cancer which created an immediacy to finishing the house. During her last two years she never gave up on life, her house or creating an enduring legacy. Valerie asked four friends to join her in creating the Young Family Foundation to bring her vision and hand written mission for the house and property into reality. In 2014, the Young Family Foundation received non-profit status as a private operating foundation to oversee Valerie’s house and land, now named Valaterra. Below are the current YFF Board members. 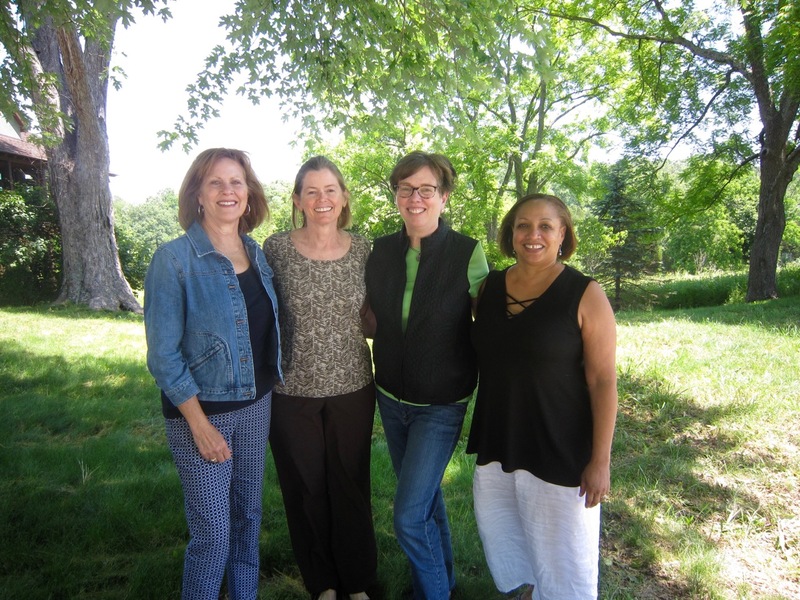 The Young Family Foundation Board: Laura Warren, President; Joyce Crum, Vice President/Secretary; Rhonda Schladand, Treasurer and Founding Member; Helen Heddens, Board Member and Founding Member. In 2011, Valerie Young had begun the process of building a dream house on her farm, when she was diagnosed with stage IV cancer. She spent the last two years of her life creating “ A Living Sanctuary” on her farm in Oldham County, KY as her legacy to the community of healers she was a part of and supported.